The brother of the murdered private investigator Daniel Morgan says he has "zero hope" of anyone ever standing trial for the killing. His comments follow a new report which blamed the collapse of a trial of three men charged with the murder on failures by police and prosecution. Mr Morgan's brother, Alistair, is calling for a public inquiry. 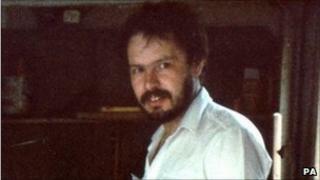 Daniel Morgan, originally from Llanfrechfa, near Cwmbran, was found dead in Sydenham, London, in 1987. He had been attacked in a pub car park with an axe, which was found in his head. The new report was conducted jointly by the Crown Prosecution Service and Metropolitan Police and said four boxes were left in storage, instead of being disclosed to the defence, three of which were relevant to the trial proceedings. Five investigations have failed to find Mr Morgan's killer. There has also been an inquest into his death. "Our objective really is to get this report out of the way," said Alistair Morgan. "We know why the trial collapsed and the only surprise for us was how little there was in a report that had taken 15 months to compile." Daniel Morgan ran a small private investigation company. Alistair Morgan said he was convinced Daniel was killed because he was about to expose police corruption. "Daniel was a whistle blower. There's no doubt about that," Alistair Morgan said. "He was going to blow the whistle on police corruption." Referring to the earlier police investigations into his brother's murder, he added: "The way it was handled in the earlier investigations, I think, is an absolute public disgrace. "If there's one thing I want from an judicial inquiry is that I want to show the public how police handled that kind of investigation." However, he added: "I have very little hope of anyone ever standing trial for my brother's murder, zero in fact." Initial investigations into the murder failed to get to the bottom of the case, because, it was alleged, of police corruption. "The issues around the disclosure exercise were such that we could not guarantee that all relevant material had been identified, considered and disclosed so as to ensure a fair trial. A further factor related to the unreliability of critical witnesses."